Kiss Kiss, Bang Bang. These guns are for fashion, not for fighting. 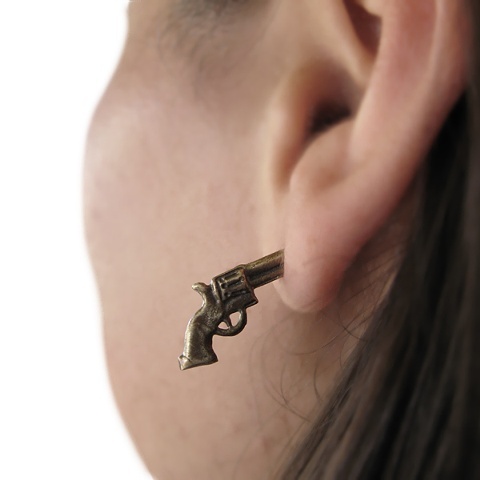 Smart pistol studs shooting straight through your ear. Cast in eco-friendly, recycled brass with sterling silver ear posts.